The eggs we provide come from cage-free chickens raised by Windflower Farm’s neighbors the Davis family at their farm in Cambridge, New York. The birds are on pasture all of the time, so they eat grasses, clover, bugs, weeds, and seeds, plus supplemental feed from a local producer. 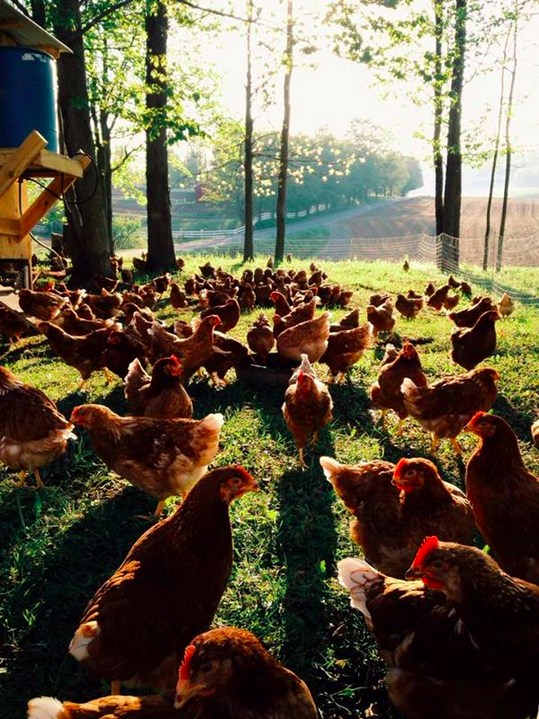 The hens are treated with special care, and receive no antibiotics, hormones, or GMO. Compared with conventionally produced eggs, those from pastured hens are known to be higher in Vitamins A, E, D, and Omega-3 fatty acids, and lower in saturated fat and cholesterol. We are happy to offer this bounty to you—large eggs with thick whites, rich orange yolks, strong shells, and wonderful flavor. Packed in re-used cartons when available–so bring your empties back to the garden and they will be returned upstate for the next batch of eggs!